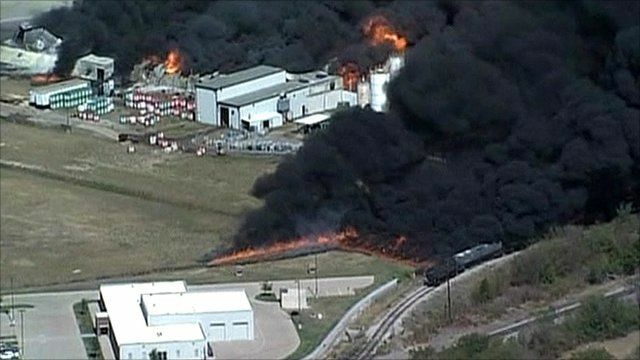 Schoolchildren and residents were forced take cover indoors to avoid possible exposure to dangerous gases after a fire at a chemical plant in Texas. Flames and plumes of smoke engulfed a large complex at a Magnablend, Inc., facility in Waxahachie. Fire Chief David Hudgins said the chemicals involved were ''very flammable'' and ''a big concern''. The fast-moving blaze overwhelmed a sprinkler system and consumed a fire truck, but no injuries were reported from the fire or resulting smoke.